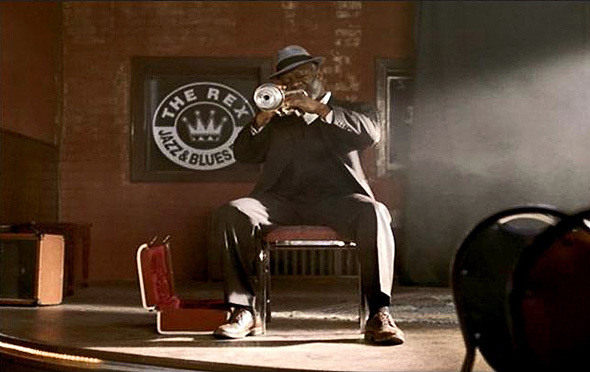 Ask any longtime Torontonian where to go to hear jazz, and you can expect the first words they say to be the Rex Hotel. For the past thirty years, the hotel's bar has been a fixture in the city's jazz and blues scenes, and continues to host an impressive 19 shows a week. Ownership has stayed in the same family's hands for more than 60 years, and yet surprisingly little has been written about how it became such an integral part of Toronto's musical history. 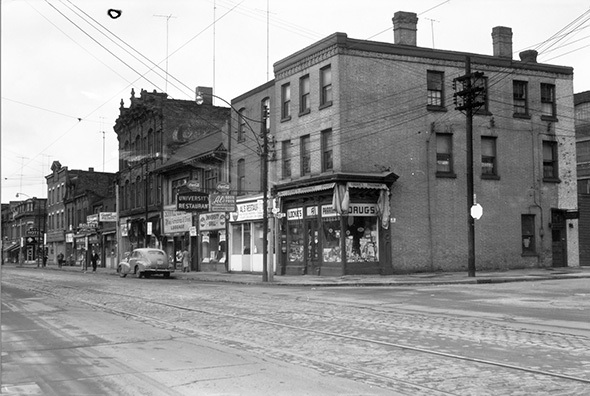 It's still unclear when the building was originally erected, but when former grocery store owners Jack Ross and Morris Myers took over in 1950 it was already operating as a hotel and beer hall, with a menswear store on the south end. It wasn't until 1960 that the clothing store was replaced with an expanded bar on the main floor. Originally the rear tavern was separated in two: one side for men, and the other for "ladies and escorts". According to current owner Bob Ross, the clientele during that time period were "primarily semi-skilled workmen from the area, which had a lot of light industries - printing companies, lathers, trucking companies - who came in for lunch and after work, as well as neighbourhood residents who came in the evening to socialize, watch the hockey game on TV, play pool, shuffleboard, and darts." 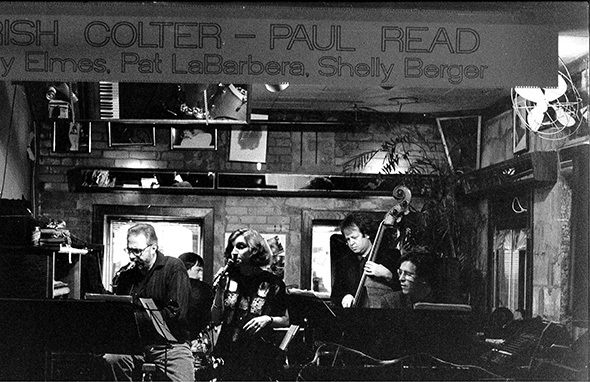 It wasn't until 1980 that the bar started to book music, in response to the changing face of Queen West. 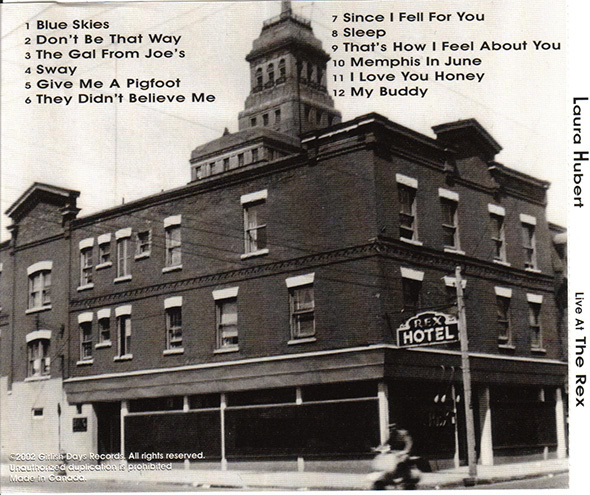 However, initially the dominant sound wasn't jazz, but rather the rockabilly and proto-alt-country sounds of the time. Acts like Handsome Ned were regulars, as well as people like John MacLeod, who continues to be associated with the bar. During that time period, Bob Ross started shutting the bar down at midnight, rather than that existing last call of 1 am, in an effort to avoid some of the late-night rowdiness. He'd often end up at the nearby jazz hotspot Bourbon Street & Basement Street, and gradually some of those musicians ended up coming by the Rex between sets, partially because the beer was cheaper. As Bob Ross recalls it, the impetus to start booking jazz at the Rex came from a night in the mid-80s when renowned Canadian sax player DT Thompson walked in one night playing "When The Saints Go Marching In," strolling around the room while blowing on his horn, and then ending up at the bar, asking "was that good enough for a rye and coke?" The musician and bar owner got to talking about focusing the booking more on the jazz scene, and since 1985-ish, that's been the format. While the local talent has mostly filled the schedule, they've also seen a huge amount of international names play their small front room over the years: Joshua Redman, Kurt Elling, Maceo Parker, Roy Hargrove, Wynton Marsalis and many more have graced their stage. Bob Ross handled bookings until about 20 years ago, when Tom Tytel took over. The long-running Tuesday night jazz jam continues to be a fertile breeding ground for young talent to interact with the elder statesmen of the scene. In 2006, the Rex began to embark on a series of renovations, but unlike the Drake or the Gladstone, they've opted to go much more gradually. The south end of the hotel has been modernized, with individual washrooms replacing the original rooming house-style communal facilities, but the remaining sections are being renovated at a slower pace to avoid disruption of the day-to-day operations. Over the years, the working class origins of the bar have been gradually and subtly updated, without disrupting any of that old-Toronto charm. Despite the changes, the Rex still hosts a few long term residents, including at least one musician. Bob Ross says it "makes us feel more comfortable at night, knowing there's people there treating it as their home." 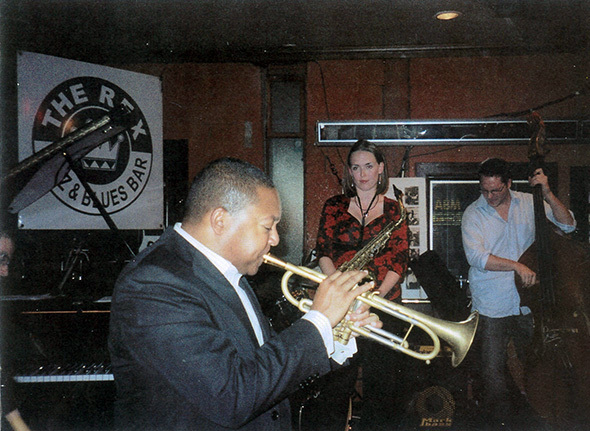 In most cities, "downtown boutique hotel with a jazz bar" feels nothing like the relaxed and comfortable vibe of the Rex Hotel, which is likely one of the key reasons it's lasted so long.